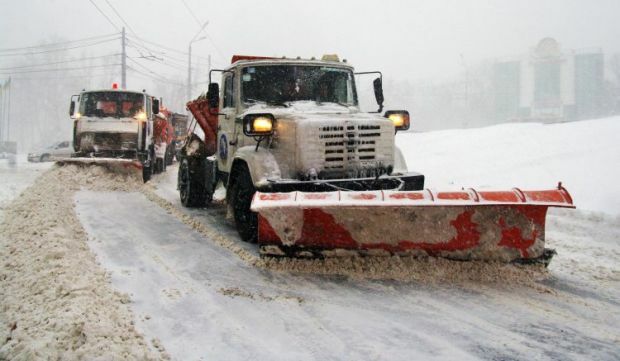 Kyiv Mayor Vitaly Klitschko says that Kyiv will receive another 15 used snow removers from Germany's Federal Ministry of Transport and Digital Infrastructure. Klitschko made this announcement after a meeting with German State Secretary of the Ministry of Rainer Bomba in Kyiv. "It is used equipment but in good condition," Bomba said. The Kyiv mayor thanked the German official for the assistance that the ministry provides to make Kyiv a modern European city. Klitschko expressed hope that such effective cooperation will continue. "It's my fourth visit to Kyiv in the past year. Every time we come here we see changes. So I think that you are on the right track," Bomba said. During the meeting, the parties discussed directions of further cooperation between the Kyiv authorities and the government of Germany. Read alsoForeign direct investment in Ukraine grows by 0.7% Q1Klitschko and Bomba also discussed the possibility of involvement of German experts who could analyze traffic flows of the city and propose solutions to unload the streets of Kyiv, in particular the construction of new transport interchanges, tunnels and the ring road. The development of a concept for further infrastructure projects could be the result of this analysis, Bomba said.